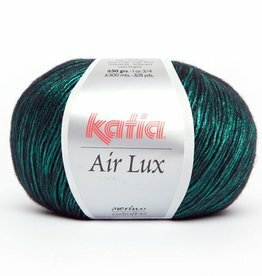 If you're looking for something just a little bit more dressy for your wardrobe, consider using Katia Sunset. You will enjoy the sophisticated sparkle that the beads add without the extra work of stringing them. 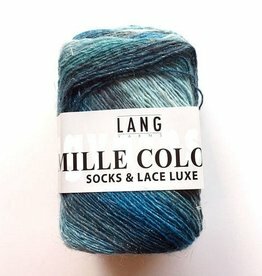 Consider using this cotton yarn as an accent stripe, a lovely dressy tee, or a shawl to keep off the chill. Remember to hand wash your finished project so that you may keep the beads sparkling! 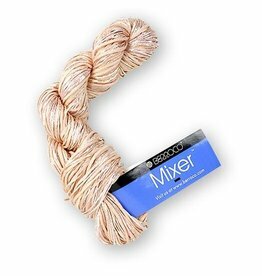 Berroco Mixer is a fascinating machine washable DK weight yarn that combines various materials of different textures, creating a soft, lightweight yarn.